RE/MAX agents are the most productive in the industry and deliver the real estate knowledge and service people need in The Quad Cities. 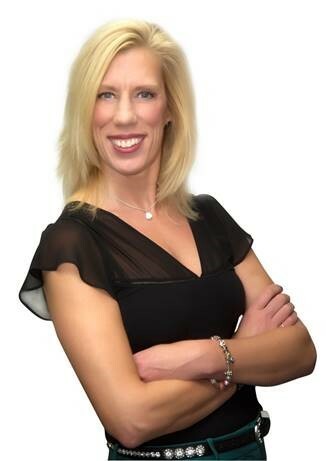 Let Sandra help you with your real estate needs in the The Quad Cities area. Channel Cat Water Taxi is a wonderful way to travel back and forth between IA and IL in the summer! Sold a Single Family home in 2018 for approximately $200K in Davenport, IA. So kind and helpful! Very professional and helped us make decisions that were comfortable and right for us! We have had several realtors over the years and she is by far our favorite!! Sold a Single Family home in 2017 in Davenport, IA. She was open, honest, accurate, and exceeded our expectations at all times. She was the answer to our prayers. One of the best service experiences for us. We highly recommend her. Showed home in 2017 in Pleasant Valley, Bettendorf, IA 52722. Sandra was extremely knowledgeable. She gave us very helpful advice on pricing and all other aspects involved in the process. She returned calls and emails very quickly and efficiently. She was so easy to work with! I highly recommend Sandra! Sold a Single Family home in 2017 for approximately $125K in Davenport, IA. We were very happy with the job Sandra did for us. Great communication and availability. Was very good about letting us know how an open house went and giving us the feedback after showings. We would definitely recommend her. Sold a Single Family home in 2017 for approximately $250K in Walcott, IA. We met Sandra in an open house (our new home) and decided that we also wanted her to represent us for selling our previous home. Sandra was FANTASTIC, she was everything and more that we expected from a realtor and did a STELLAR job. She was always readily available for prompt answers to our questions and was always willing to help. She has a great personality and communication skills and keeps her clients best interest in mind. She is a prime example of what a realtor should be. HIGHLY RECOMMENDED! Bought a Single Family home in 2016 in De Witt, IA. Sandra has done a great job for us. She is very knowledgeable about the area and the real estate industry. I was very impressed on the extra effort she puts in to researching a potential property, before we even go to tour it. Bought a Single Family home in 2017 for approximately $150K in Davenport, IA. Sold a Single Family home in 2017 for approximately $150K in Davenport, IA. I am a seller that did not use a Realtor to represent me and had losted FSBO. Sandra brought a qualified buyer to me and was amazing throughout the process. She kept the deal together when I felt it was crumbling. Very easy to work with, very professional and always cheerful. DEFINITELY would consider her for any further transactions. Bought a Single Family home in 2017 for approximately $125K in Cork Hill, Davenport, IA. Sandra was extremely knowledgeable in housing and real estate. Provided great knowledge that helped me make informed decisions about my housing choice. Being a first time home buyer she was a great choice for me and she was a privilege to work with. She was very honest and client centered. Bought a Single Family home in 2017 for approximately $125K in Davenport, IA. Exceeded all my expectations with flying color. Extremely knowledgeable and helpful as well as patient. Every house Sandra and I went to she would check out the important areas and then give great feedback for resale.